Area Planning for the Adaptive Management Option by the City of Appleton. With this $75,000 award, the Fund for Lake Michigan is supporting the City of Appleton’s goal of using Adaptive Resource Management for compliance with their water quality standards. Adaptive Resource Management is an iterative decision-making process that emphasizes not only meeting current resource objectives, but also learning and improving systems for the future. 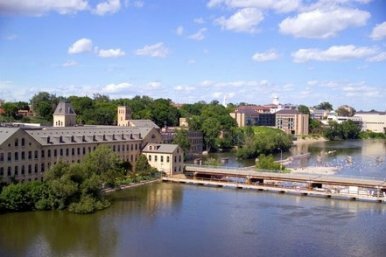 A previous Fund grant supported a project between the Alliance for the Great Lakes and the City of Appleton to determine if Adaptive Resource Management was feasible, as well as which watersheds it should target. This grant now supports the second phase of that project to identify problematic areas in the Apple, Plum, and Kankapot Creeks and model what compliance may cost Appleton’s water utility.